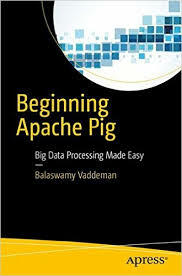 Earlier I have discussed about writing reusable scripts using Apache Hive, now we see how to achieve same functionality using Pig Latin. Pig Latin has an option called param, using this we can write dynamic scripts . Assume ,we have a file called numbers with below data. If we want to list numbers equal to 12 ,then we write pig latin code like below. and we re-run the code using same command. But Its not a good practice to touch the code in production ,so we can make this script dynamic by using –param option of Piglatin. Whatever values we want to decide at the time of running we make them dynamic .now we want to decide number to be filtered at the time running job,we can write second line like below. and we run code like below. Then you can run script with param-file option like below. This type of feature is not available in apache hive. So what are the benefits we gain using this feature. 2. Of course, we make scripts more reusable and dynamic. 3. We can have better productivity using reusable scripts.